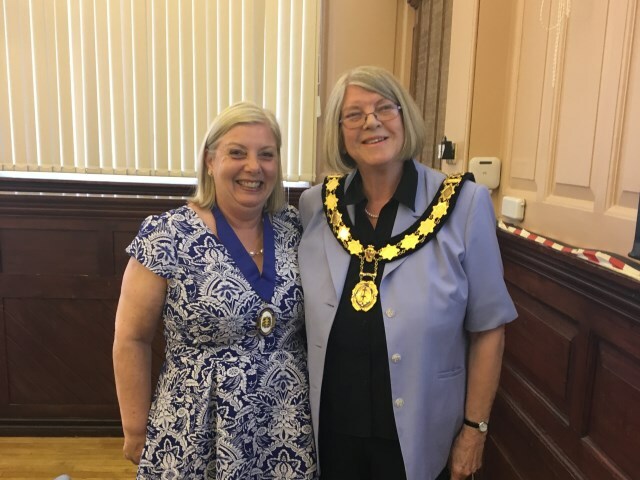 The Mayor of Thame, Cllr Ann Midwinter (pictured right), was elected by the Council at the Annual Meeting on Tuesday 8 May 2018. The Deputy Mayor is Cllr Linda Emery. The position of Town Mayor is ceremonial and non-political and confers no additional advantage on the post-holder, other than the honour of representing Thame. The Mayor will attend civic and ceremonial functions within the District and the wider community during their Mayoral year of office.The Town Mayor will also act as Chairman to Full Council meetings and the Annual Town Meeting. The Mayor’s Cadets will be Annabel Kemp and Sophie Kemp who are members of the 1st Thame Rangers and Young Leaders Unit. The Mayor of Thame (right) with Deputy Mayor, Cllr Linda Emery (left). Ann was born in Hitchen, Hertfordshire and moved to Thame aged two, where she has lived since. During Ann’s working life, she was employed in the education sector and holds an Adult Teachers certificate. Ann was also the Work Experience Co-Ordinator at Lord Williams’s School, where she helped place young people into their first work placements. Ann is married to David who owned and ran The Tuck Shop in Thame in the 1960’s and 1970’s, then was Manufacturing Manager at McCormick Foods. They have two daughters and four grandchildren. Local interests have very much been a part of Ann’s life – she was first elected onto Thame Town Council in 1987 where she served as a Town Councillor for 8 years during which time she served as Mayor in 1990 and 1991. 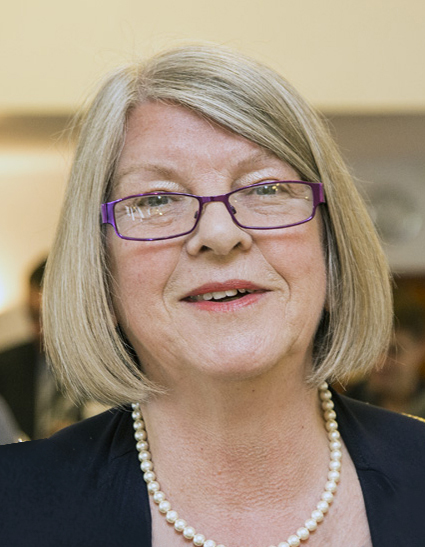 Ann then served sixteen years on standing committees at South Oxfordshire District Council, as well as leader of the Independents Group and Chairman of SODC in her final year there. Sharing Life Trust – helps those who have and can, to assist those who don’t have or can’t in the area around Thame. They have supported, and continue to support, the Thame Good Neighbour Scheme, Thame Community Bank, Red Kite Family Centre and the food bank. Thame Youth Projects – formed in 2012 with the express aim of continuing the support for the young people of Thame, starting a Youth Café and looking to expand youth opportunities and safe places for the youth available in the town. If you would like to invite the Mayor to your event, or for more information about the Mayor’s upcoming events, please contact Rosie on 01844 260495 or by email.